With their region increasingly unstable, Japan is looking to substantially expand its fleet of airborne early warning and control (AEW&C) aircraft. Under a proposed foreign military sales (FMS) deal with the US, Japan plans to buy up to nine more E-2D Advanced Hawkeye (AHE) AEW&C aircraft for an estimated cost of US$3.14 billion. That would take the Japan Air Self Defense Force AEW&C fleet to more than two dozen, though it’s not known whether some or all older aircraft will be retired as the new and more advanced aircraft enter service. In its announcement of the proposed deal, the US Defense Security Cooperation Agency (DSCA) said this deal would support the foreign policy and national security of the US. “Japan is one of the major political and economic powers in east Asia and the western Pacific and is a key partner of the United States in ensuring peace and stability in that region,” it said. DSCA said the proposed sale of E-2D AHE aircraft would improve Japan's ability to effectively provide homeland defence utilising an AEW&C capability. 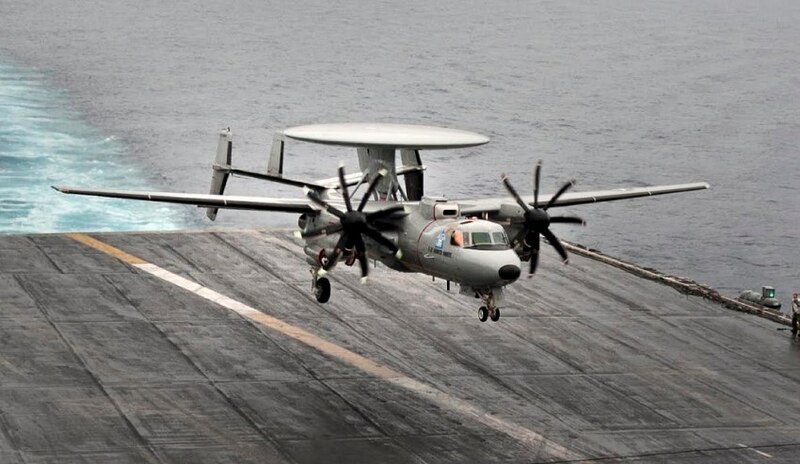 “Japan will use the E-2D AHE aircraft to provide AEW&C situational awareness of air and naval activity in the Pacific region and augment its existing E-2C Hawkeye AEW and fleet. Japan will have no difficulty absorbing these aircraft into its armed forces,” it said. Japan’s interest in an AEW&C capability dates from 1976 when a defecting Soviet pilot flew his MiG 25 Foxbat at low level most of the way to Japan without showing up on Japanese Self Defence Force radar. Initially the Boeing E-3 Sentry was considered the prime candidate, but Japan settled on the twin-engine Northrop Grumman E-2 Hawkeye. In 2014, Japan opted for the E-2D Advanced Hawkeye rather than the Boeing 737 AEW&C aircraft, developed for Australia’s AEW&C requirement. The E-2D Advanced Hawkeye, in service with the US Navy, features a new radar, avionics and an all glass cockpit. It also comes with a new aerial refuelling capability to substantially increase range and endurance. The FMS deal also includes the key sensors, the APY-9 radars, with a spare, electronic support measures modules, radios, electronics systems and extra engines.